More and more young people are developing eating disorders every day, and there is little we are able to do to stop this. There are many misconceptions about eating disorders, like boys and men don’t get them, you have to be thin to have one, or that Anorexia and Bulimia are the only two eating disorder diagnoses. None of this is true, but until people have been educated about this, more and more people suffering from eating disorders will continue to believe that because of one of these reasons, they do not have a problem. 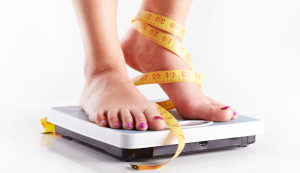 In this two part article, we will go over five reasons that the number on the scale, how much you weigh, does not matter. It can be extremely easy to attach your self worth, your value as a human being, to a number. The amount of power a few digits can have over you is vast and terrifying, but you can not let it be that important. You are loved and respected for exactly who you are, and you have the power to throw that number out the window and be who you are truly meant to be. The world that is outside of ourselves has the power to lift us out of the present moment and bring the focus to something external. But, it really is what is inside that counts. When you can look within yourself, have self love and acceptance, and find the validation from within, you will not need a number on a scale to tell you what you are worth. If you or someone you are close to may be suffering from an eating disorder, please reach out for help. Because this is such a prevalent problem among young people, many people do not want to ask for help. But if you are reading this article and you are suffering, do research. Talk to your parents or someone close to you. A great place to start for online resources is the National Eating Disorders Association (NEDA).